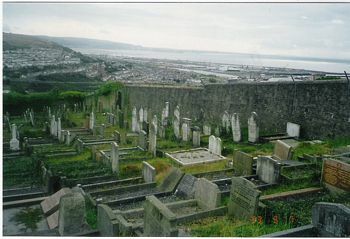 Notes: Swansea Jewish Cemetery: The 99 year lease for the old burial ground (part of Town Hill) was dated 28 Nov 1768. It was enlarged in 1878 but by 1965 it was practically full. If you have any photos you would like to donate to the CemeteryScribes Project please Contact Us THANK YOU! !